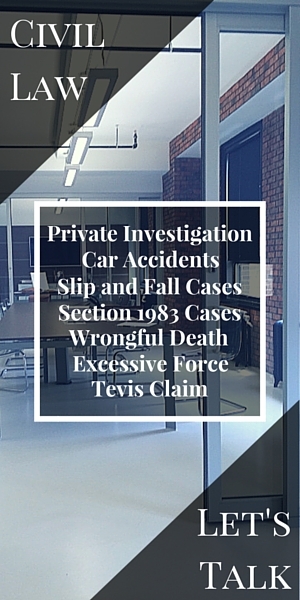 There are countless types of civil cases that could potentially require private investigation services. Cases dealing with insurance, fraud, and corporate and domestic issues are just some possibilities. Your defense lawyer will pair up with the civil litigation team to create a substantial, strong defense. Having a strong defense will give you the accuracy and confidence you need to walk into the courtroom ready for trial. With the help of lawyers at Brooke M. Barnett, a more in-depth investigation of police reports will be possible, as well as a more detailed exploration of witness statements. These are not situations that can be handled without legal representation. If you or anyone you know is in need of a private investigation specialist, call the law office of Brooke M. Barnett for immediate legal advice, consultation, or representation.